Choosing the right HVAC system is important for efficiency and proper flow of heat and air throughout your home. Considering these factors will put you on the right path to choosing the ideal HVAC system for your home. HVAC systems are available in a variety of sizes and it’s important to get the right size. A unit bigger than the capacity of your home can handle is a disservice for your home because the unit is not as efficient as the correct size unit will be. Whether you’re on a budget or have a ton of money to spare, the pricing of the unit is important. An expensive unit is not always the best choice. You don’t necessarily have to purchase a new HVAC system if your old one can still get the job done. If your old unit can’t be salvaged, it’s in your best interest to create a budget and make knowledgeable decisions based on what you need and what you find. When you think of quality, you may think of expensive units, but this is not always the case. Find HVAC units that have an extended warranty and ones that are made from quality materials. 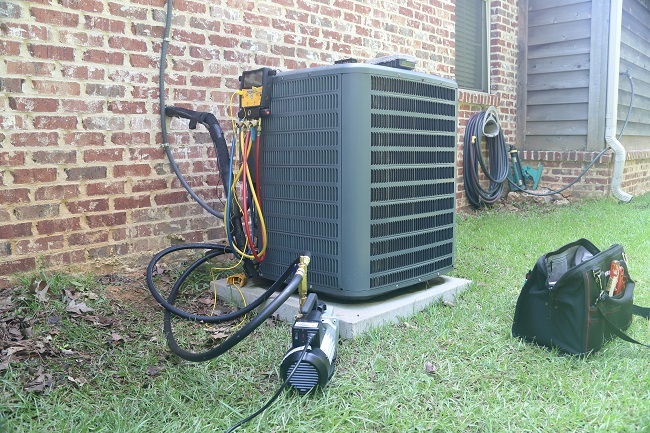 Some stores offer payment plans that will help you get the high-quality HVAC system you need immediately and make payments on it over the course of a certain amount of time. Shopping locally for your HVAC system is the best option. You need local, certified HVAC technicians who can service your unit in the event repairs need to be made or an emergency occurs, and Texas Air Tech has certified HVAC professionals who can get the job done. At Texas Air Tech, we offer reliable HVAC services to Rockwall, Collin, and Dallas counties. We understand how important being comfortable in your home is, and we look forward to exceeding your expectations with our exceptional services. Contact us today to see how we can make your home as comfortable as possible.